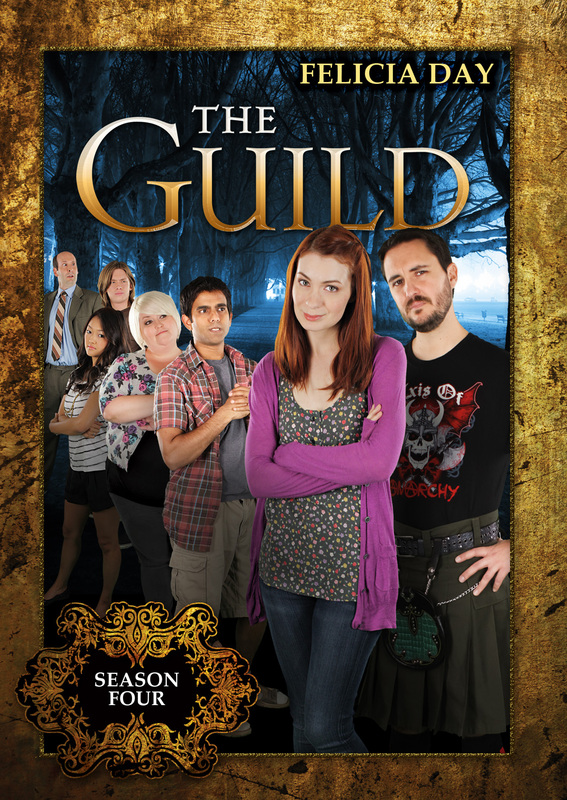 December 21, 2010 − Hot off the cliffhanger to Season 3, Codex (Felicia Day) scrambles to justify her impetuous encounter with Rival Guild Leader, Fawkes (Wil Wheaton), to herself and her Guild. It’s Guildie vs. Guildie when Vork announces a fundraising competition for design rights to the new Guild Hall. Meanwhile, Zaboo and Vork deal with a real-world house guest, Tink and Clara pair up to make some quick cash, and Codex’s computer problems force her to work at a real job (OMG) with Bladezz (OMFG!). The unrated DVD from New Video’s Flatiron Film Company includes all 12 episodes from Season 4, the hit music video “Game On!,” behind-the-scenes footage of the making of “Game On!,” cast interviews, audio commentary with the cast, creator, director and producer, and a gag reel. New Video is a leading independent privately-held distributor of quality entertainment via DVD, Blu-ray, download and streaming platforms, and cable VOD. We are the proud home to some of the most prestigious names in the industry like A&E®, HISTORY™, Lifetime®, Major League Baseball®, Scholastic Storybook Treasures™, Arthouse Films and Tribeca Film, as well as New Video’s own Docurama Films® and Flatiron Film Company®. Since 1991, our mission has been to discover and deliver first-rate film and video content to audiences via traditional linear platforms as well as new and evolving digital media. We selectively handpick our library while collaborating directly with our brand partners and filmmakers to cultivate a superior product and fresh new viewing experiences for our audiences. We are headquartered in New York City, but have an international presence in 45 territories.